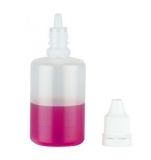 This soft squeezable 10ml plastic dropper bottle delivers a constant micro-drop of approximately 0.05ml. Therefore they are suitable for very fine work - dressing desserts for example. Ideal for use in molecular cooking or for vape liquids. With the dropper tip inserted you can squeeze out very small droplets. 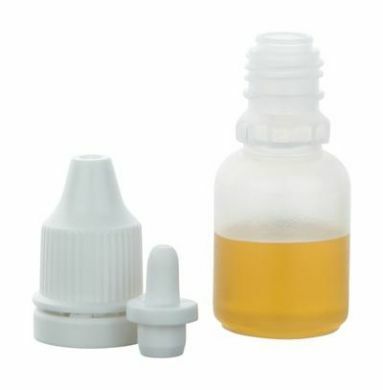 Alternatively you can remove the tip and use the bottle as a wider necked container. Please note that there are no measuring increments on the bottle - the total volume of the bottle is roughly 12ml. The cap and removable dropper tip are compatible with all sizes of our Origin micro dropper bottles. Made from soft low density polyethylene. NOT Suitable for: Storing strong chemicals such as acetone and thinners. Origin was established in 1963 by Stanley Homes, a pharmacist with a plan to update how drugs are packaged. Based in Melton on the outskirts of Hull, East Yorkshire, Origin are today one of the worlds biggest suppliers of pharmaceutical packaging.